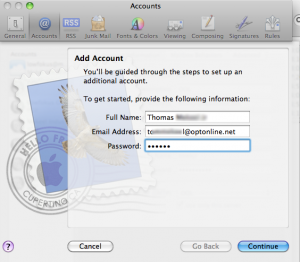 Prior to syncing your iPhone with MobileMe, be sure to turn off the syncing of your address book in iTunes or you will end up with double contacts when you view the list “All Contacts” in your address book on your iPhone. This may seem like a no brainer to some, but it had me baffled for a while. I had an issue with the speaker port on my iPhone 3G, and sorry to say *cough*, it had to be replaced with a new phone under Applecare. 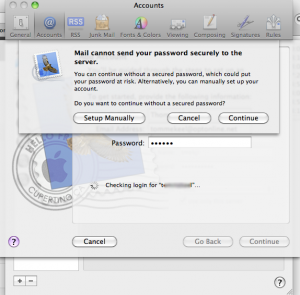 I have had “MobileMe” since it was .Mac, so I was in the Apple Store with a fresh iPhone, ready to leave. No contact info in my phone, say wha?!? I don’t know about you, but I don’t memorize phone numbers. I rely on my phone to do that. 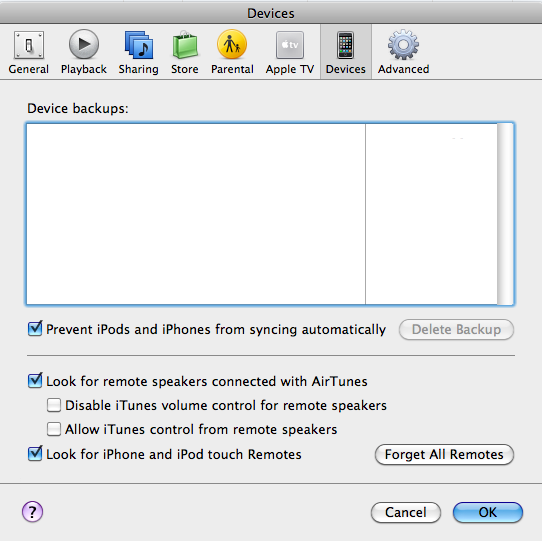 So I sync up with MobileMe right in the store and I’m good to go. Here’s the tricky part. I didn’t realize that if I already synchronized with MobileMe, iTunes would still add my contacts from my Mac, even though MobileMe gets it’s list from…my Mac. What I had to do was delete all of my email address information and re-sync with iTunes. Now you can plug in your iPhone, ad nothing will be automatically changed. If you have doubled your contacts already, you may have to restore your phone in the summary tab, which is unfortunate, but sometimes worth it anyway. I’ve read some posts about unhappy owners having to do this, as it takes some time. Before you try that, you may want to sync/unsync whatever duplicate information you have stuck on your iPhone and see if iTunes will remove it. If you have tried this to no avail, please comment below and I’ll try to help you sort it out. If it worked, please let me know that, too. 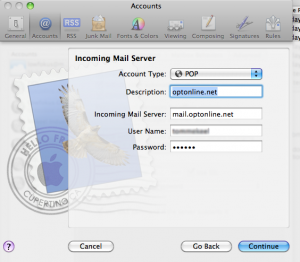 I get a lot of hits on my post here about the iPhone Mail and Optimum Online, so I figured I’d write a post on regular old computer mail as well. 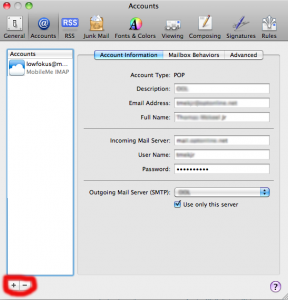 This problem extends to your mail application regardless of operating system. 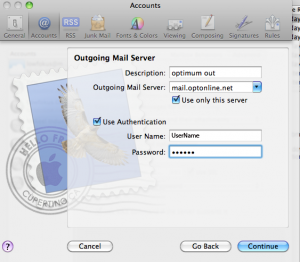 I will show you how to set up an email address using Optimum Online through Mail on OS X. 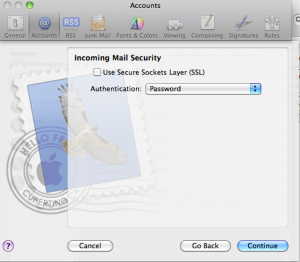 Mail, helpful application it wants to be, will automatically check your connection settings when you type in your name and email address. 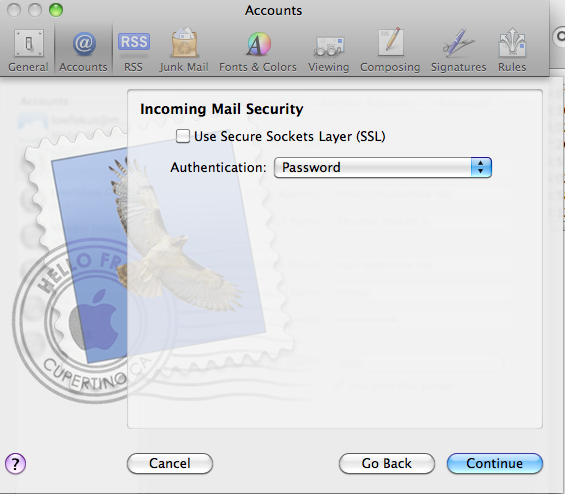 Poor Mail, though, fails miserably at connecting via SSL, and asks you if you’s like to continue, or setup your account manually. Leave these settings intact, and click “Continue”. 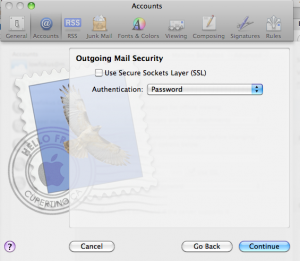 You will be shown an Account Summary screen, and both incoming and outgoing mail should say SSL off. 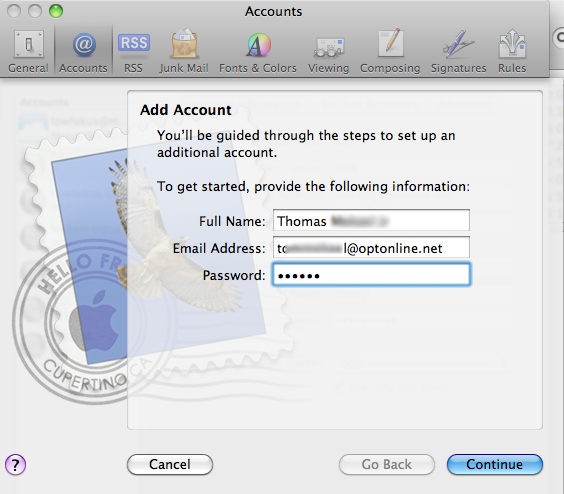 Be sure the “Take Account Online” box at the bottom is checked, and click “Create”. 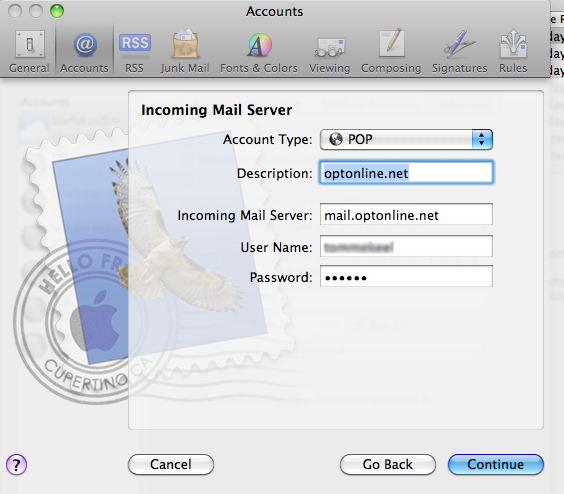 I am waiting to hear back from Optimum about a different port or setting allowing SSL connections via third party mail clients, and hopefully I just couldn’t find the correct port to use. If not, here’s to hoping they are working on getting SSL enabled soon! I originally posted this to my old blog, which I’ve deleted. Hopefully you find this , it needed to be updated anyway…. 13. Server Port (at bottom) should read 587. That’s it. 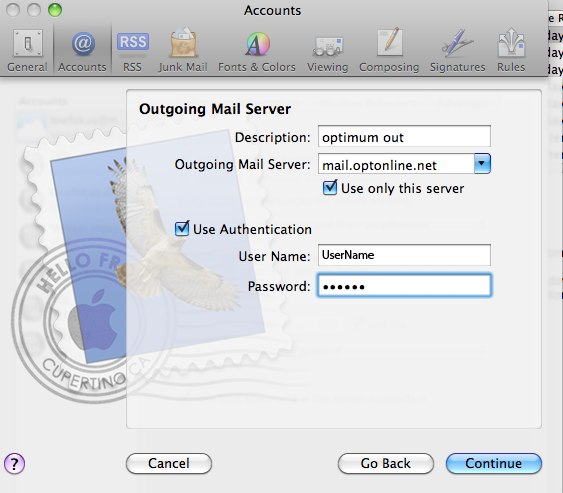 Now you can use mail.optonline.net as your outgoing mail server for any of your accounts, just like through your Outlook or Mail (or, um, whatever mail client you use.) 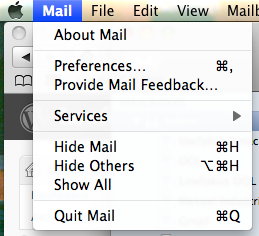 I turned off all of the other SMTP servers that I had previously tried to set up. 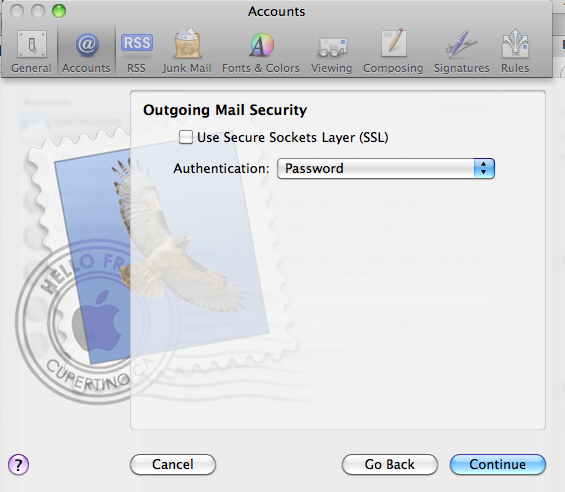 Now it doesn’t matter if you’re on Edge, 3G, or Wifi, your mail will still get out of your iPhone and to your recipient. I did try in the beginning to have gmail do it for me, but they forward your mail and tell you who it was forwarded on behalf of. I thought that was crap. 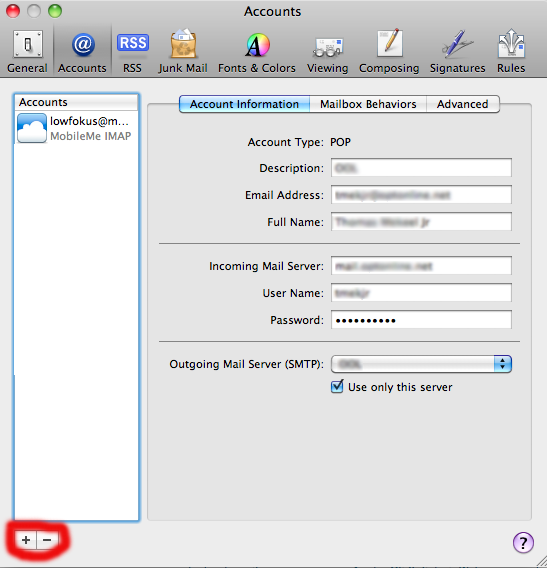 The whole point was so you could reply to someone’s email from the address they sent it to, and they need not know that you have another email address. This way is much more of what I needed then to confuse my clients with my personal email address and my family with my business address.